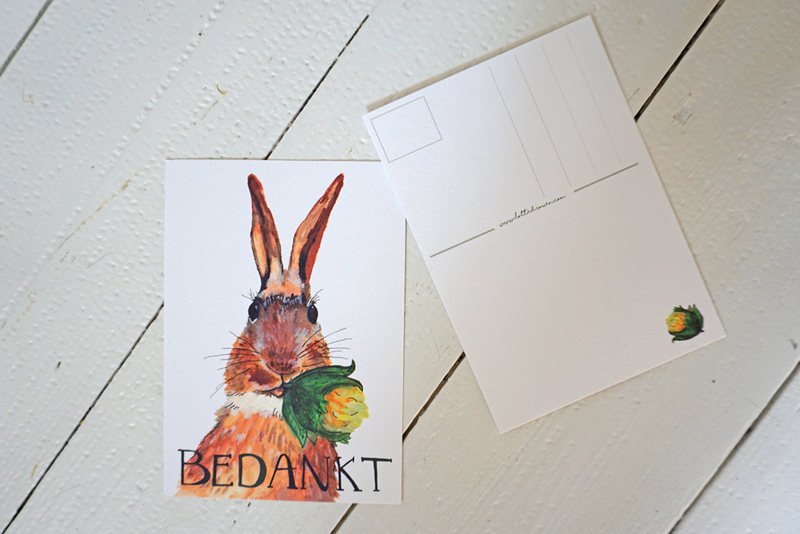 Lovely illustrated greeting card thanks with rabbit and flower. It is always fun to send a card or hang it in a nice frame on your wall. I draw the illustrations myself with watercolor and fineliner. After that, I completed the drawing digitally. 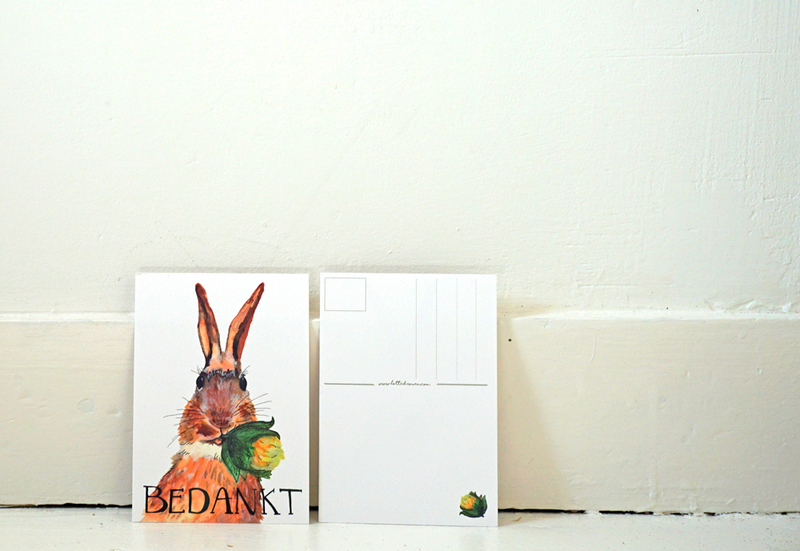 The card is printed on beautiful thick texture paper: Tinteretto Gesso, 350 grams. The size of this card is A6 (10.5 x 14.8 cm), this is the same as the standard postcard. On the back side are lines indicating the name, address and place of residence. There is also room for a stamp and a nice message for the recipient. Do you want to send this card? You can buy it in my shop.